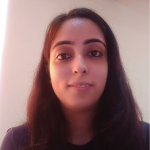 Kanika Malik is a consumer insights & consulting professional, assisting global organizations across varied sectors including financial services, consumer durables, food & beverages and hospitality. In her decade long journey as an Insights provider and problem solver, she has truly come to believe that consumer insights are the backbone of any business and have an indispensable role in understanding the nitty-gritty of how an interplay of different factors works in shaping consumers’ perceptions and attitudes, ultimately leading them to behave the way they do. She has a huge passion for converting insights into unique compelling stories for each brand and organization that she works with.